Cancun and Playa del Carmen are well known for their natural beauty and for the endless activities you can do. So if you are about to visit this destination, we invite you to continue reading this blog post because here we list the most important landmarks. 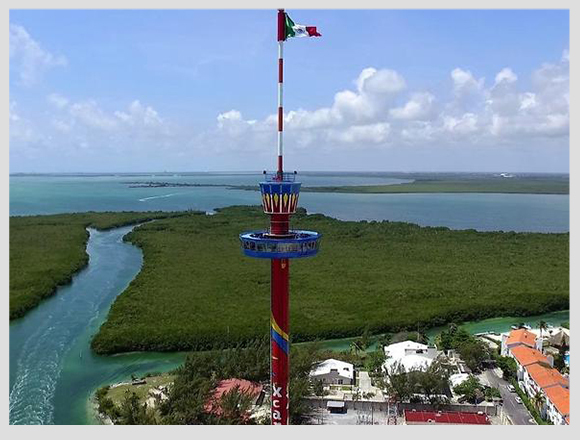 The Scenic Tower of Cancun is located in the hotel zone at kilometer 4.5 and is the highest point in all of Cancun rising 80 meters so that its visitors can capture all the beauty of the Mexican Caribbean. During the tour, you can hear a historical brief about the points you observe. Do you want to discover other points with incredible panoramic views? Then we invite you to read: The Best Panoramic Views Of Quintana Roo. 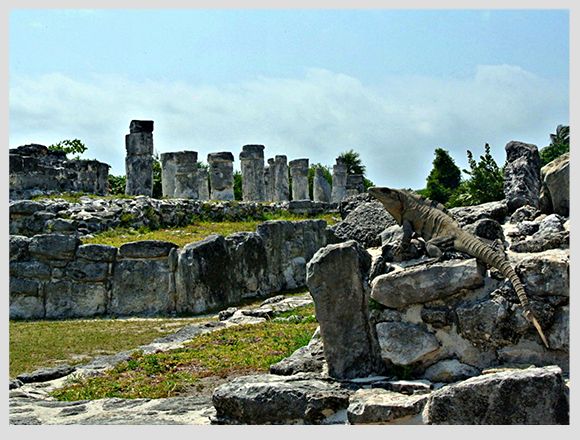 This archaeological site is located on the north coast of Quintana Roo, on the mainland of Isla Mujeres. Although it is a relatively small archaeological site, it was of great importance because its port was the center of commercial activity between Cancun and Isla Mujeres. 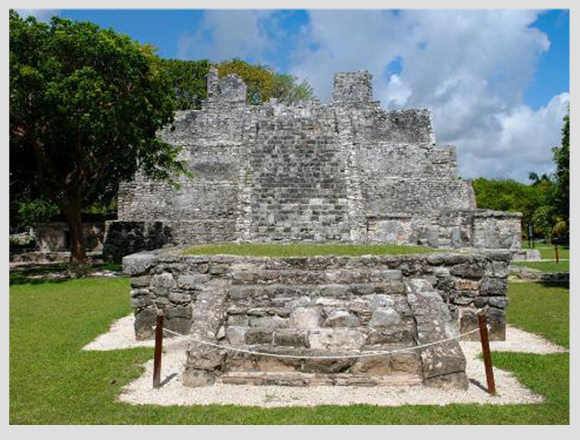 This archeological site is one of the most important in Cancun. Located at kilometer 18 of the Hotel Zone, it is believed that it was the nuclear area of a town dedicated to maritime trade and fishing activities. It is a small archaeological site but worth visiting. 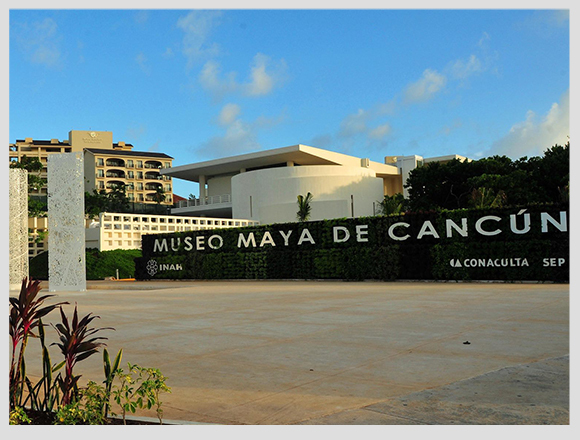 This museum is located in the Hotel Zone of Cancun, and it has great importance since it protects one of the most significant archaeological collections of the Mayan culture of the country. It includes the most essential pieces of the state, as well as the sites of Palenque, Chichen Itza, and Comalcalco, among others. If you are going to visit the destination and you are interested in knowing a bit more about the Mayan culture, this landmark is a must. 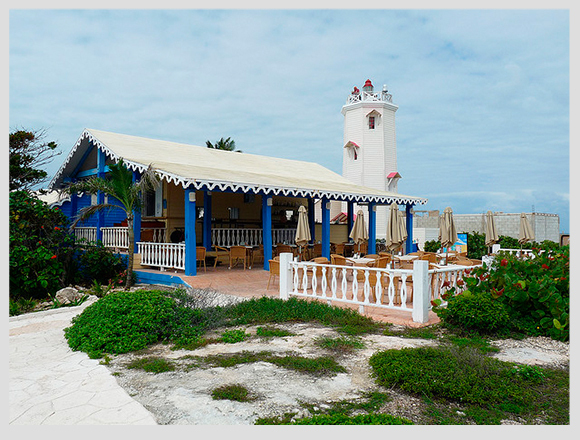 This lighthouse is located on the southern tip of Isla Mujeres and is the first place where the sun’s rays touch. Situated at a privileged point (in front of the Caribbean Sea) when climbing you will fall in love with the blue of the sea. Next to the Lighthouse is the Temple to the Goddess Ixchel, which is a place worth visiting. Located on the Cancun-Chetumal highway, this site is a must for all visitors who like Mexican culture, music, and cuisine. 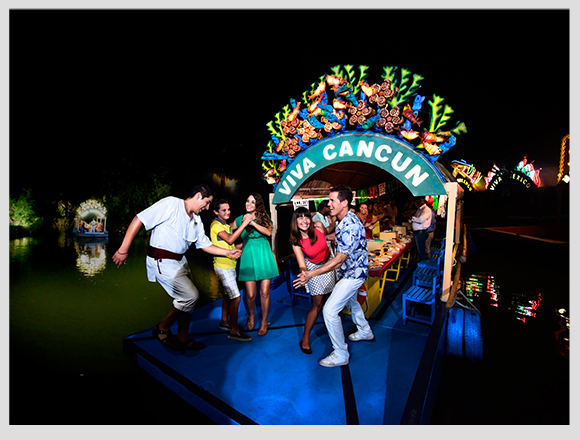 Xoximilco is a Mexican party that was born as a tribute to Xochimilco. Its atmosphere, its colors, and trajineras will make you live the right Mexican party. 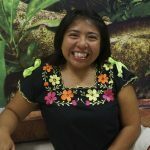 Do you want to discover more about Xoximilco? We invite you to read: Live a fiesta in Xoximilco. 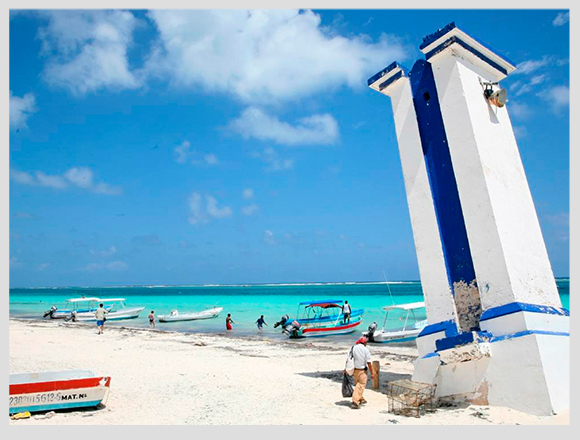 Puerto Morelos is a small fishing village near to Cancun. The symbol that identifies this town is its Inclined Lighthouse, which is a reminder of the passage of Hurricane Beulah in 1967. This town is also well known for possessing the second most significant coral reef barrier in the world. 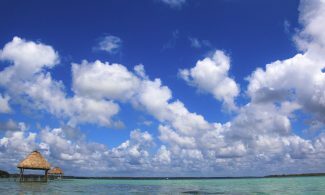 Discover more about Puerto Morelos in this blog post: Puerto Morelos: A Perfect Spot To Relax. The Portal Maya is a sculpture made of 60 tons of bronze and measures 16 meters high and 16 meters long. 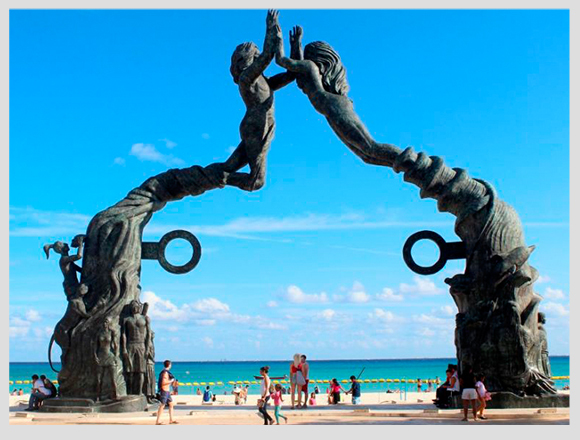 It is located in the Parque Fundadores in Playa del Carmen and is a gateway to the sea that invites visitors to discover the destination. 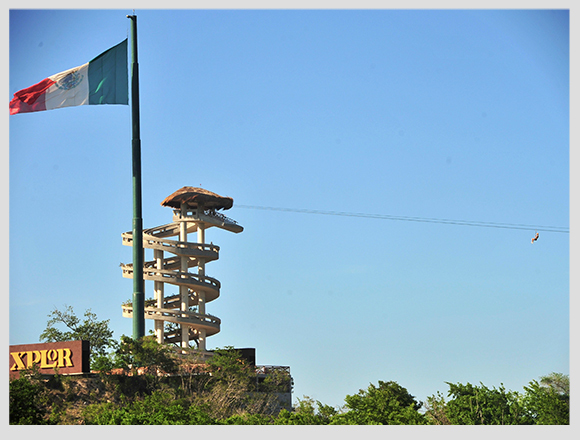 Xplor park is located 15 minutes from Playa del Carmen. It is a landmark for all those visitors who like adrenaline and extreme adventures. It has four main activities: zip lines, rafts in underground rivers, amphibious vehicles and swim in stalactite rivers. Learn more about the adventure activities of this park here: 6 Adventure Activities You Can Do In Xplor Park. 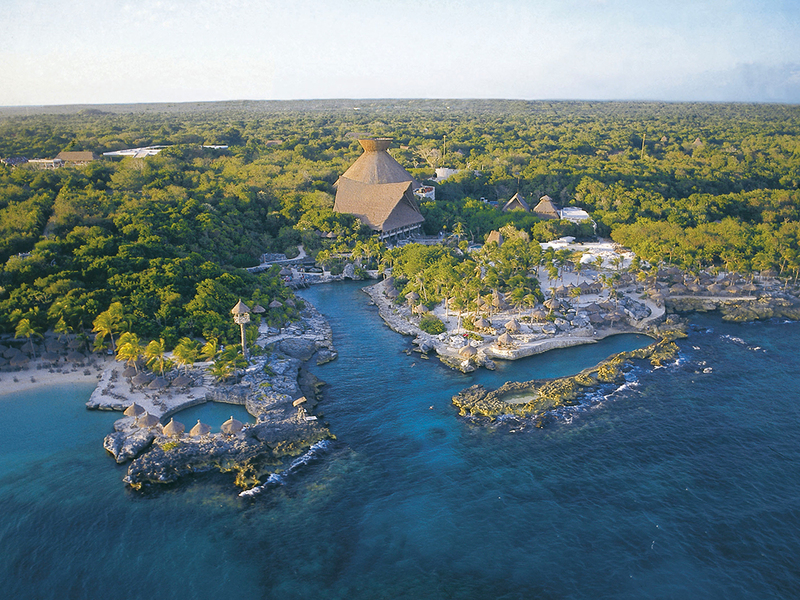 Because of its beauty, its attractions and its love for Mexico, Xcaret is one of the must-see landmarks of this destination. 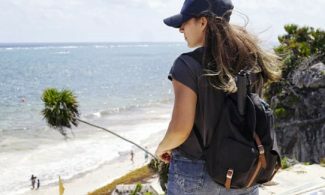 It is a natural park located 15 minutes from Playa del Carmen. 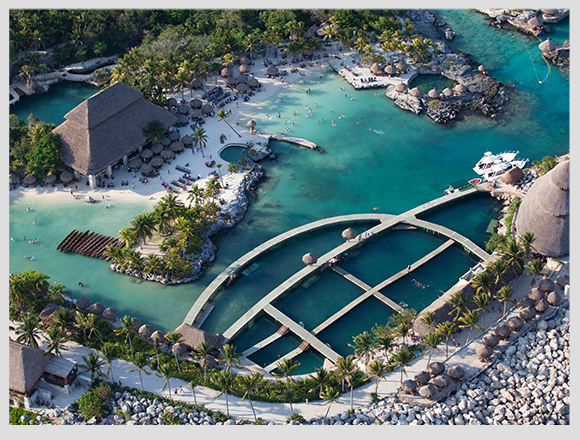 Among its main attractions are its underground rivers and its show Xcaret México Espectacular. We invite you to learn more about the show that makes hearts vibrate in Xcaret: Everything You Should Know About Xcaret Mexico Espectacular Show. Which of these landmarks did you visit? Share your experience with us. Me gustaria visitar esos lugares pero cuestan mucho dinero .somos una familia de 6.es un buen lugar para selebrar mis 25 de casados El proximo 2019. Hola María, te recomendamos checar con anticipación la compra de las actividades que quieras realizar, de esa forma podrás ahorrar, ya que muchas atracciones ofrecen descuentos con pre compra. ¡Saludos!